Involving like-minded organisations, associations and individuals in its different campaigns. The main intention is to create awareness among Hindus in the process. The activities undertaken by the VUP comprises curbing denigration taking place through various mediums, advertisements, theatrical performances; curbing malpractices prevalent in public festivals; curbing degradation of Religious leaders and Saints, to provide religious education to Hindus, to curb conversion of Hindus, etc. The VUP launches online protest campaigns against the concerned through its website www.vedicupasanapeeth.org. It also gives publicity to such protest campaigns through its periodicals, other newspapers and news channels to create public awareness. The Peeth (hereby means Vedic Upasana Peeth) is very prompt in its action against any incident regarding hurting of religious sentiments. 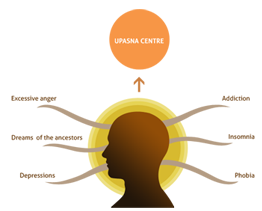 In this policy, “us”, “we” or “our” means the website (www.vedicupasanapeeth.org) and the trust VEDIC UPASANA PEETH, a public trust registered in Bharat (India) which owns the said site www.vedicupasanapeeth.org also referred to in this document as ‘the Site’ is committed to safeguarding the privacy of its on-line users’ personal information. In general, the personal information we collect about you includes (but is not limited to) your name, contact details (including phone numbers and addresses) and your questions about various aspects of the information provided on the website and your comments. We will not collect any personally identifiable information about you through our website unless you provide it to us voluntarily. The information we collect varies, depending on how you use our site. This Policy applies to all information collected or submitted to the Site. On some pages, you can make requests to join email announcement lists, participate in events, register to receive materials from us, or receive other types of information. The types of personal information collected includes but is not limited to: name, year of birth, shipping address, billing address, e-mail address, password, phone number and other general information relating to your areas of interest on our website such as newsletter preferences and questions. We generally advise that you do not publish or communicate personal information, or at least limit the personal information that you publish or communicate, to the public via our services, such as our comments functionality (where you authorise the publication of the comment) and blogs herein after referred to as Non-Confidential Information. You acknowledge that we cannot control any third party collection or use of your Non-Confidential Information. You accept that we may use and disclose Non-Confidential Information for any purpose and by any means whatsoever. Through third party software, we also collect aggregate, non-personally-identifiable information on users by recording the IP address from the computers of visitors to our site. An IP address is a number that is assigned to your computer when you surf the Web. Web servers, or the computers that provide the web pages to your computer for you to view, automatically identify your computer by its IP address. When you use your computer to request to view a page from a server, that server logs your IP address. The site does not link IP addresses to anything personally identifiable. Your visit to the Site will be logged; however, you will remain anonymous to us unless you choose to share information with us. We track the number of people that view each page of our website to better understand which features are most popular and best meet the needs of our visitors. To the extent this information does not constitute personal information, we may use this information for any purpose and by any means whatsoever. The primary purpose for which we collect information about you is to provide you with services you have requested. We may state a more specific purpose at the point we collect your information. If you do not provide us with the information that we request, we may not be able to provide you with our services. For example, if you do not register as a member of a website, you will not be able to access features or services that are reserved for members only. Sending you our email alerts about periodicals and our affiliate’s events, new articles, newsletter if you have subscribed (opted-in) to them. The introduction/reminder of some new functionality or products and services with regards to the Site. The Site requires you to opt-in to any mailing list, i.e. you have to tick which mailing list you would like to subscribe to. We do not pre-tick your subscription to any mailing list and ask you to opt-out if you do not want to contact you in that regard. Responding to your questions and comments. We may contact you for a request to fill out a feedback survey etc. You may choose however not to participate or provide feedback. If you post or send offensive, inappropriate or objectionable content anywhere on the site, or otherwise engage in any disruptive behaviour on the Site, the site may use your personal information to stop such behaviour. We will keep your information in our systems till we deem it necessary to purge it from our systems. What is a cookie? :A cookie is a small amount of data, which often includes a unique identifier that is sent to your computer or mobile phone (referred to here as a “device”) browser from a website’s computer and is stored on your device’s hard drive. Each website can send its own cookie to your browser if your browser’s preferences allow it, but (to protect your privacy) your browser only permits a website to access the cookies it has already sent to you, not the cookies sent to you by other sites. Many sites do this whenever a user visits their website in order to track online traffic flows. Cookies record information about your online preferences and allow us to tailor the Site to your interests. We will not sell or rent your personally identifiable information to anyone. The Site’s mailing list, including the personal information we receive through the Internet is never sold or rented to any commercial organisations for profit. In case of comments provided by you, with your permission, the site may choose to publish the comments, if we feel that it would be of value to our readers. You may also choose how your name with regards to the comments is published, i.e., have your comment displayed along with just your nickname and country or your nickname and first name along with your country. We need to respond to valid legal process. This includes a search warrant, subpoena, or court order, and any other instance when we believe we are required to provide information by law. If you post or send offensive, inappropriate or objectionable content anywhere, on or to the Site or otherwise engage in any disruptive behaviour on the Site, the Site can use whatever information that is available to it about you to stop such behaviour. This may involve informing relevant third parties such as your Internet provider and law enforcement agencies about the content and your behaviour. We may share aggregated, non-personally identifiable information about our users with affiliates or other third parties for better understanding of our website and visitor preferences. 6. HOW DO I CORRECT MY INFORMATION OR ‘OPT-OUT’? Please assist us in keeping your information current by notifying us of changes to your name, address, title, phone number or email address. You may correct your personal information logging into your VUP Member Account on www.vedicupasanapeeth.org and clicking on ‘edit profile’. You may opt out of VUP mailing lists that you have subscribed for by simply un-checking the relevant box in ‘subscription status’ section in your VUP Member Account. In the event you elect not to receive any future contacts from VUP, we will endeavour to remove your name from all of our contact lists; however, information is sometimes difficult, if not impossible, to remove from all data sources. Other than in relation to Non-Confidential Information, we will endeavour at a physical, electronic and managerial level to protect the personal information that we hold from misuse, loss, or unauthorised access, including by means of firewalls, pass word access, secure servers and encryption of credit card transactions. The Site encrypts all passwords that enable you to interact with the Site. This includes the transmission, authentication and storage of passwords. This means that none of our staff can see your passwords. We utilise encryption/security software to safeguard the confidentiality of personal data we collect from unauthorized access or disclosure and accidental loss, alteration or destruction. This means we encrypt all of your personal information so that it cannot be read as the information travels over the Internet or when it resides on our servers. Our database is protected from unauthorized access by a series of highly sophisticated software protection programs. The server is housed in sophisticated data-centre which has firewall facilities. 7.2.1. Accessibility to your data: We are committed to the protection of your information. The access to your personal information is limited to those persons that are required to fulfill the requests for information, services or products. 7.2.2. Regular review: This policy may be updated from time to time so please check this statement periodically as it is your responsibility to make sure you are aware of our latest policies. You provide information to us via the internet or by post at your own risk. We cannot accept responsibility for misuse or loss of, or un-authorised access to, your personal information where the security of information is not within our control. You acknowledge that we are not responsible for the privacy or security practices of any third party (including third parties that we may disclose your personal information to). The collection and use of your information by such third parties may be subject to separate privacy and security policies. We cannot guarantee 100% security of any information that you disclose online, and you do so at your own risk. At the time you register you will create a password. You are responsible for maintaining the confidentiality of your password and for all uses of your password, whether or not authorised by you. You should not disclose your password to any other person. In order to protect the security of your account and personal information, when your visit is complete you should be sure to log off of our website and shut down your browser. If you have any reason to believe that your account is no longer secure, you should promptly change your password in your profile. You are solely responsible for ensuring and maintaining the confidentiality of your username and password and for any and all activities. If any unauthorized person obtains access to your VUP member account, you shall use your best efforts to ascertain the source and manner of acquisition and shall fully and promptly brief the Site. You also agree to cooperate and assist in any investigation relating to any such unauthorized access. The Site may provide for the registration with groups on other websites via webforms, submit the minimum required information to any external website to provide a facility requested by you and also the Site may contain hyperlinks to websites owned and operated by third parties that are not under our control. These third party websites have their own privacy policies, including cookies, and we urge you to review them. They will govern the use of personal information you submit or are collected by cookies whilst visiting these websites. We do not accept any responsibility or liability for the privacy practices of such third party websites and your use of such websites is at your own risk. We provide these links solely for the convenience and information of our visitors.